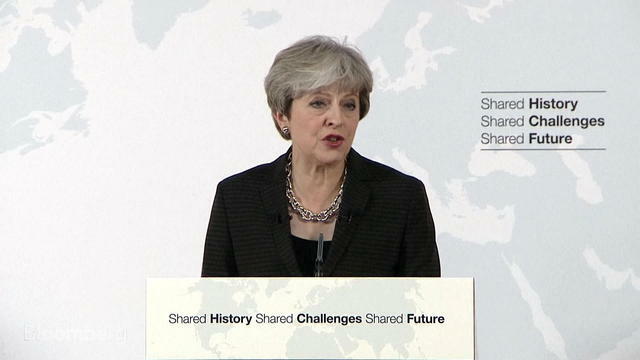 Mrs May has today given her much vaunted Florence speech. Billed as a set-piece aimed at unlocking the talks, it has fallen flat. It is remarkable only in how little is actually said. May laid out nothing in terms of the financial settlement and only vague platitudes on everything else. On future relations she has said neither a CETA or EEA agreement would be right for the UK but has left the question hanging as to what would be appropriate. We are no further forward. The real question, we suspect, is really one of what she intended to say when she booked this speech. The location and timing were far from accidental and talks were delayed to make space for the speech. It had to have been something more substantive originally. She can't have thought this was worth our time. There is a good chance that Boris Johnsons's intervention on the weekend was designed to sabotage the intended speech and what we actually got was Speech B, designed to buy time to avoid a civil war before the Tory conference. This though, only adds to the uncertainty. May has to make choices before spring next year or major banks will walk. Troublingly, this speech takes no account of what the Commission has already said regarding the negotiation process or future relations. It is as if anything Barnier has ever said simply does not exist - so it looks like we will have wasted an entire year before getting down to business. The danger is now accidental Brexit. As to talk of a two year transition - this is wholly meaningless. Spacefiller. Entirely disposable noise. Ultimately there is nothing at all to take seriously here. We are still left to guess what Brexit looks like. Meanwhile, the clock ticks.